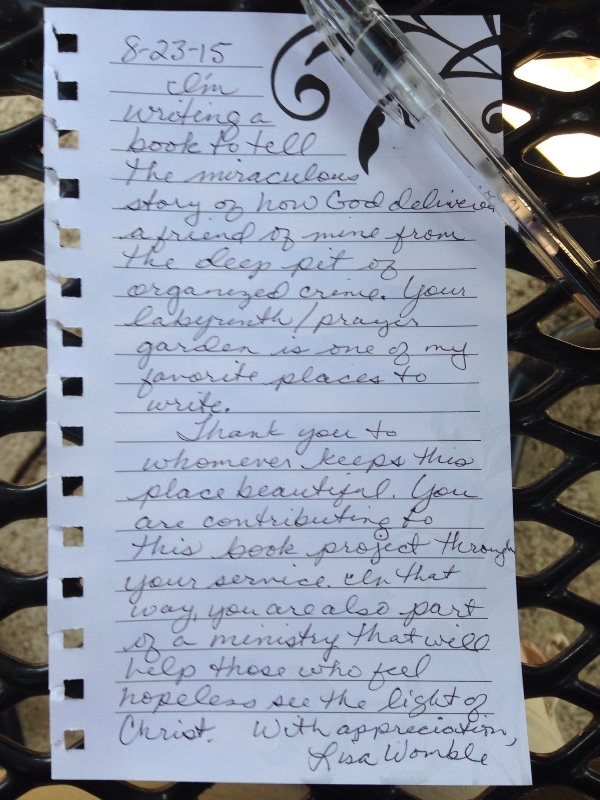 A note I left at Zion United Methodist’s labyrinth last month. For more information on the book I’m writing, click here. For more on my labyrinth experiences, click here.